Well my friends it is the start of a new week, you know what that means! But before we get down to buisness how was every bodies weekend? I am hoping your weekends were fabulous, mine was a little jam packed, but I had a blast! Lots of shopping with my momma, cooking and a bit of relaxing! Also Happy Martin Luther King Day! Is anyone doing anything special to celebrate. I wish I was back in Indy to celebrate, the Indianapolis Museum of Art puts on a great event to honor Dr. Martin Luther King. But now lets recap the last two recipes, and introduce the new line up of drool worthy recipes! Where should we start? 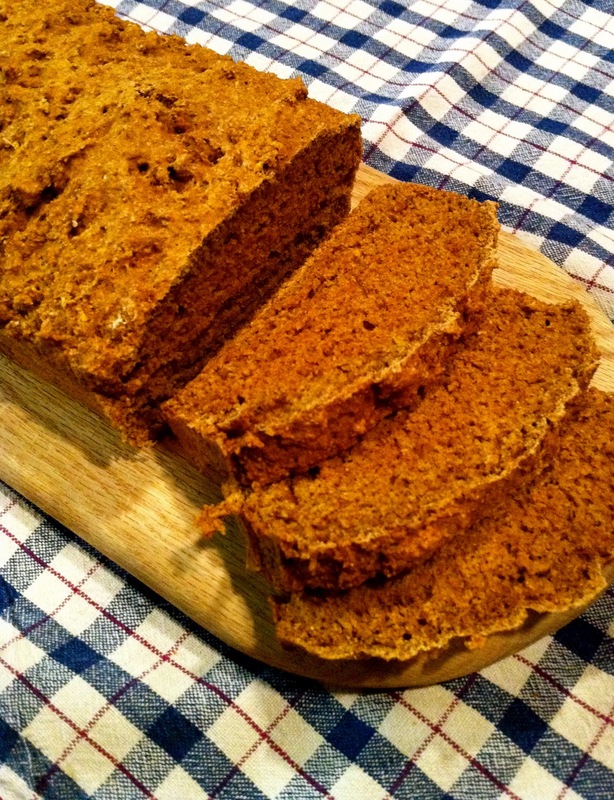 Lets start with the Lemon Ginger Loaf! I had high hopes for this bread. It smelled delicious in the oven, but alas I cannot embrace the flavor combination. Maybe I put to much ginger in? I am not sure. The bread turned out looking great though! The Larabars on the other hand I thought turned out great! (my pictures weren't very appealing)! I was surprised at how easy it is to make homemade Larabars! Puree your dried fruit, chop up your nuts, add spices and form into bars! It is that easy, I can see these bars becoming a new snack staple! A new follower Jenn of Peas and Crayons sent me here recipe for Key Lime Larabars (thanks for sending me the recipe) and I cannot wait to try making them! I used this recipe, and thought they turned out fantastic. These mushrooms were perfect for a light dinner, and would make a great appetizer for dinner party, or a cocktail hour! Alright I think I covered everything, so here are the weekly 5! Super excited about this recipe, stir fry is a go to dish for Mark and I! Skinny Taste Roasted Red Pepper Soup! So there you have it 5 more mouth watering recipes straight from my pin board! I can't wait to try those crab mushrooms too. Yum! Ooohhh I need to try those Lara bars!! Yummy! That pasta dish is right up my alley!! New ideas are always great for pasta. I definitely want to try the mushrooms! Hope you have a great week!! Oo, those are great picks! 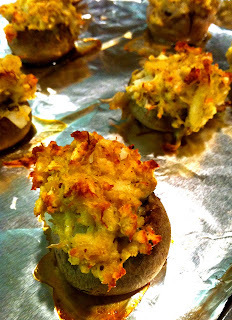 I really love the sound of that Crab Stuffed Mushroom. Those are two of my favorite foods! I can't wait to read about the stacked veggie enchiladas. I have it pinned too! sorry about the bread... hate when they smell good and then nothing on the taste! Hmm…I think that loaf sounds yummy. Maybe less ginger would be better? I've only ever used ginger in Indian dishes, but I could see how it could be a little overpowering. Smells delicious, but sometimes the flavor is too much. But I also think those are 2 flavors that are both very strong…maybe you could replace the ginger with something else citrus-y or nutty? I am all too familiar with kitchen fails. You just gotta keep going though, it's how we learn right? I def will! The weather here in MN has gotten so cold, perfect soup weather! Sorry to read about the bread flop but at least the larabars were a success! I want to try making those! I was so happy with how they turned out! I made another batch tonight to have them for a quick snack! I am trying to get my mom to try them too! Hope you had a wonderful day! I feel like ginger can be very...pungent? So even a little goes a long way. I'm not a huge gingerbread fan, and the only time I like ginger is the kind that comes with sushi (yes, yes I said that). Hope your week is off to a great start! I love the ginger that comes with sushi too! I will eat it plain! Hope your week is starting well too! Yum the larabars look great and the key lime laras sound amazing. I hope you take them for a whirl soon! 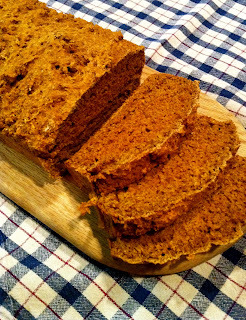 I´m not a big fan of ginger myself, but that bread looks fantastic! Ginger is a difficult spice to work with. It can really overwhelm something. I do love fresh ginger in asian cooking though. The bars sound fabulous! Believe it or not, I'm not a huge fan of Larabar, don't you find the texture to be sticky? Some even leave a weird aftertaste. i don't know, but I do like the new Cappuccino bar. Yeah, ginger is hit or miss. I only use like a 1/4 tsp in Pumpkin Pie, maybe the recipe asked for more. I love that avocado salad.. looks so good. And thanks for the Oatmeal Applesauce Pancake recipe, I'm so gonna try it. :-) You're the best. They can be a bit sticky, I noticed the homemade ones are more sticky then the store bought ones. But I think they taste a bit fresher (could be all in my head though)! Oh I have not seen the cappuccino bar, I am going to have to keep my eyes open for that! The avocado salad turned out yummy, but I used a lime vinaigrette instead of the lemon called for! Let me know what you think of the pancakes! And you are very welcome! Lemon Ginger Loaf? Yes please!!! That sounds amazing!